A man was yesterday charged with knifing another man to death as a result of a fight over food. 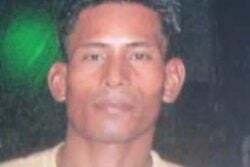 Appearing in a city court yesterday was Mark Anthony Bartley, who is accused of murdering Gordon Ross on April 30th, at John and Hadfield streets, Werk-en-Rust, Georgetown. 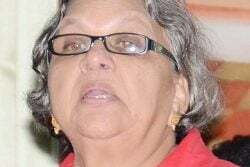 Bartley was not required to plea to the charge, which was read by Chief Magistrate Ann McLennan. Ross, 26, said to be a substance abuser with no fixed place of abode, was found with stab wounds about his body. He was taken to the Georgetown Public Hospital by public-spirited citizens but succumbed while receiving medical treatment. Police later the fatal altercation was the result of a fight over food between the suspect and Ross. The suspect was later identified through CCTV footage. Police Prosecutor Neville Jeffers told the court yesterday that the case file was incomplete and therefore the Chief Magistrate remanded Bartley and adjourned the matter to June 13th for report.